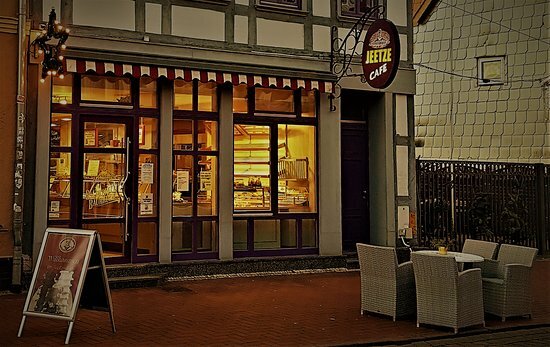 There aren't enough food, service, value or atmosphere ratings for Jeetze Cafe, Germany yet. Be one of the first to write a review! A very pleasant patisserie/café with a bright modern interior and a large terrace. Excellent service and a small selections of newspapers. There's even parking for four cars. You can try all kinds of cakes here, including Baumkuchen, which is a Salzwedel speciality. Get quick answers from Jeetze Cafe staff and past visitors.